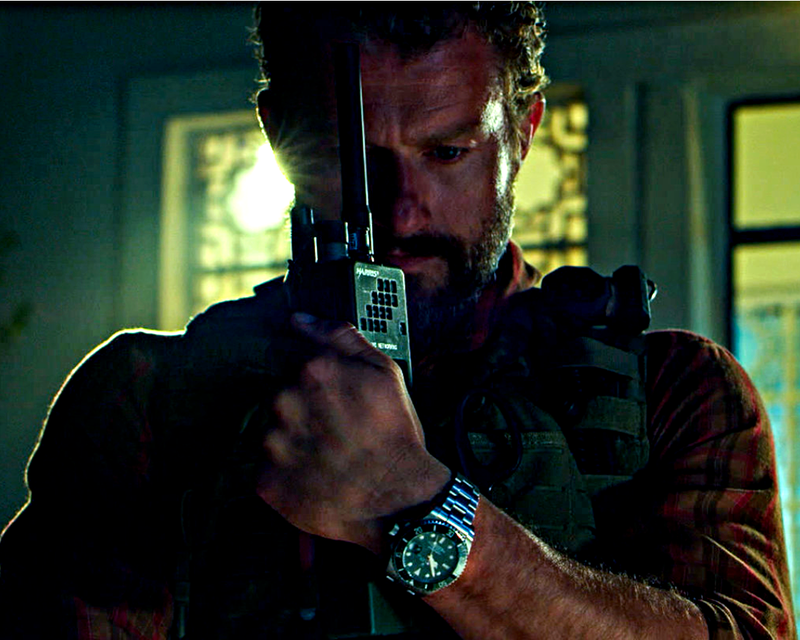 James Badge Dale, above, who plays retired Navy SEAL Tyrone "Rone" Woods wears a Rolex Submariner 116610 in Michael Bay's movie "13 Hours: The Secret Soldiers of Benghazi." 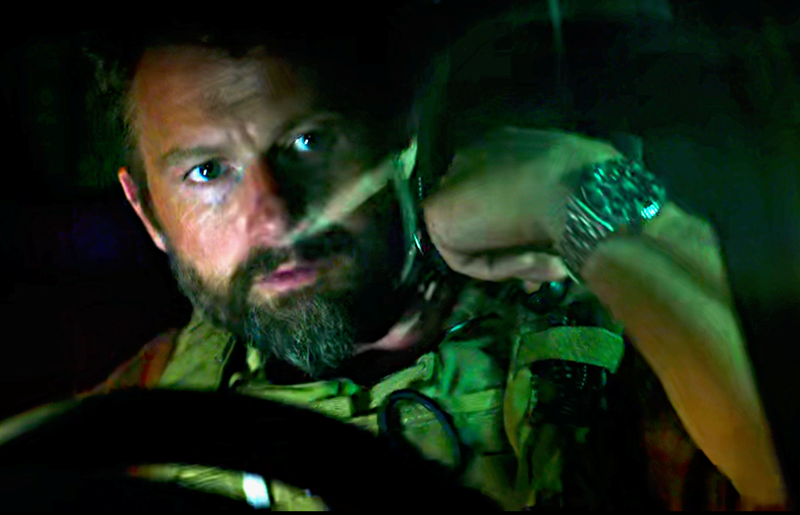 When the movie came out — it tells the story of the six American men in Benghazi who fought a terror attack in 2012 — the watch community went abuzz with theories on the exact Rolex worn by Tyrone. The date-cyclop in the picture above is clearly visible which makes the Sea-Dweller improbable. 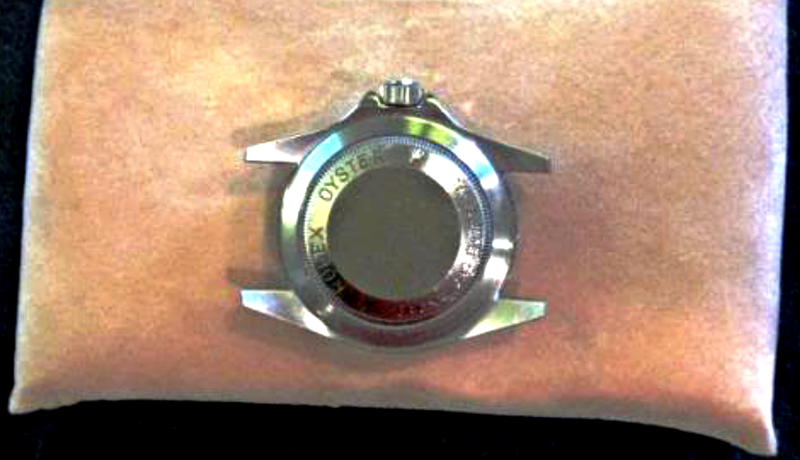 The movie was released in 2016, a year before the 43mm cyclop-equipped Sea-Dweller. Because of quick action shots and poor lighting, it is hard to tell if the actor is wearing a Submariner with the Lunette Noire or Verte variant. [Warning, spoiler ahead:] No green bezel is clearly seen on Tyrone's wrist in the movie, except at the end, when Tyrone's effects are collected by his SEAL buddy. 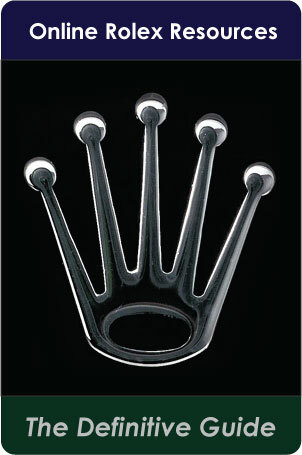 Still, the bracelet above is not a Rolex bracelet. 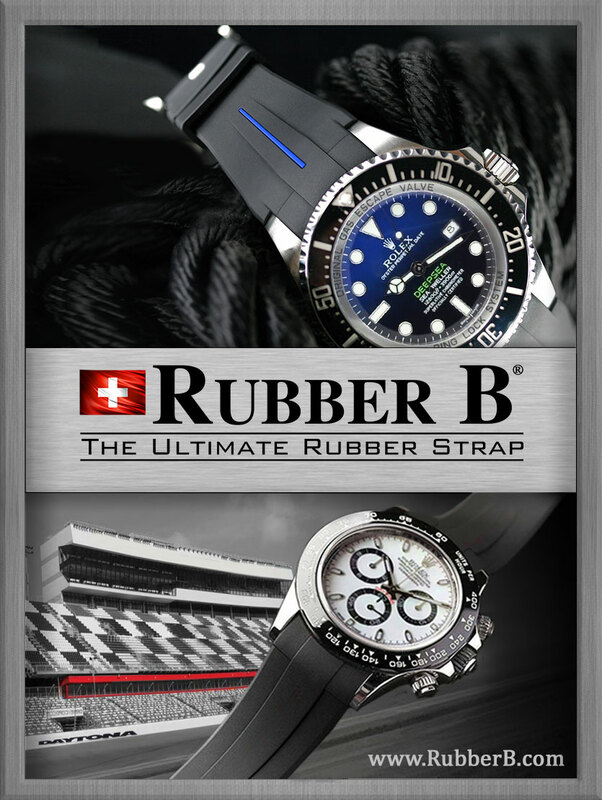 And the clasp is definitely different than the clasp of a six-digit-reference Rolex worn in the first picture on top. 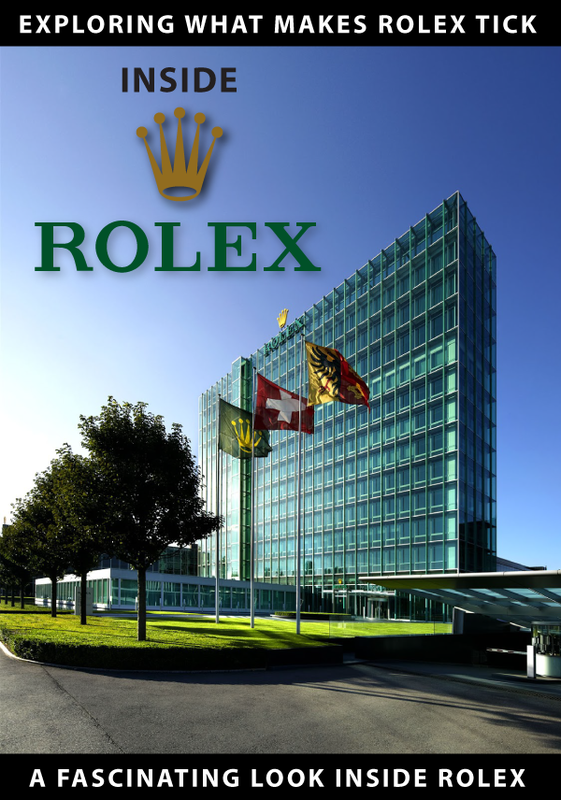 The clasp of a modern Rolex is more visible in the shot below. 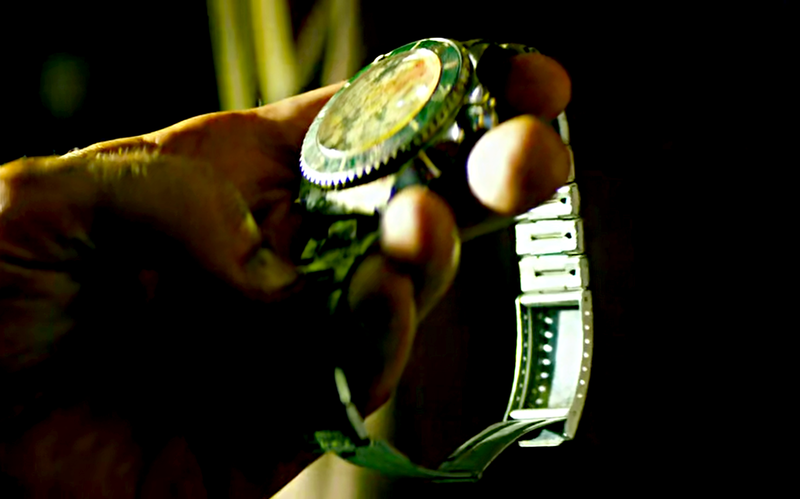 This bit of "watch swapping," or artistic license by Michael Bay made me wonder if the real Tyrone actually owned a Rolex. I decided to read the 350 pages of 13 Hours, the book on which the movie was based, but I found no mention of any watch worn by him. 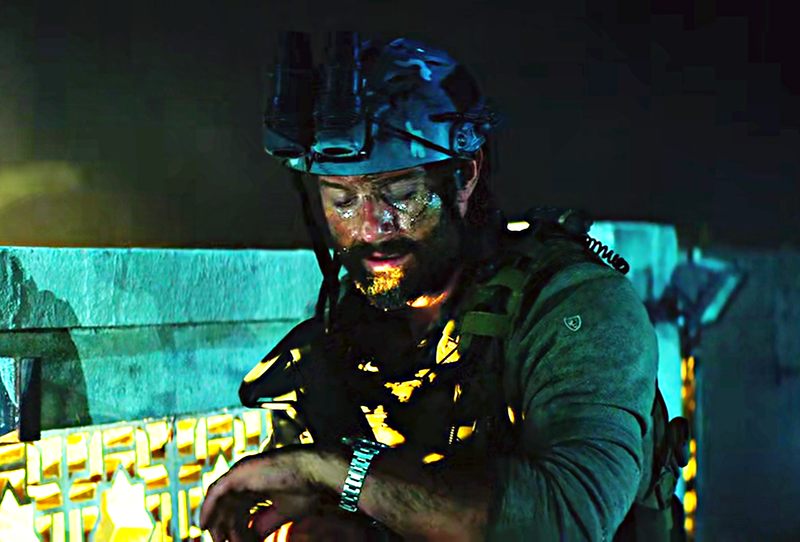 In this testosterone-fueled action movie filled with G-Shock-wearing Special Ops types, why did Michael Bay decide to have one guy wear a Rolex? 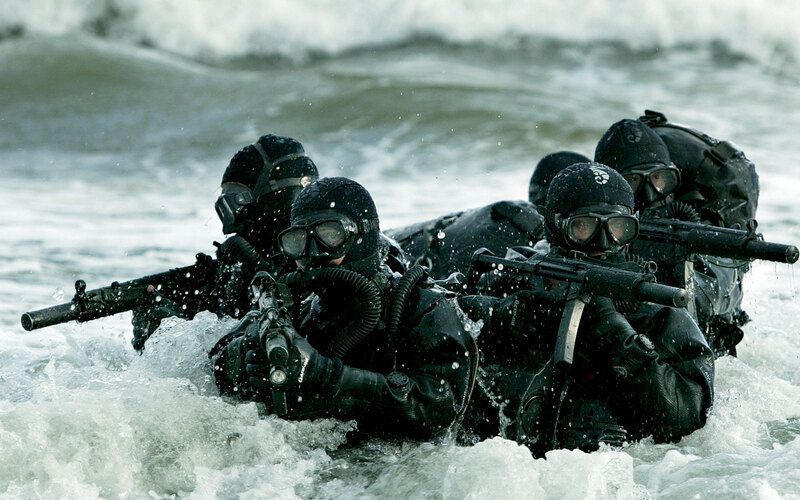 After all, G-Shocks, not Rolex, were the current standard-issue watches for Special Ops. Was it to give Tyrone, the leader of the Global Response Staff (GRS) contractors in Benghazi, a more mature, dignified image as a veteran? 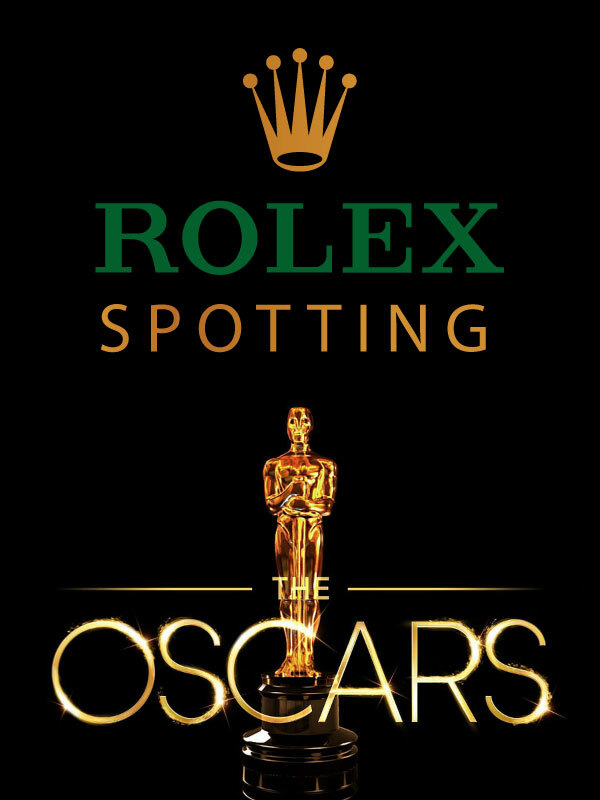 Or maybe Michael Bay just loved Rolexes. 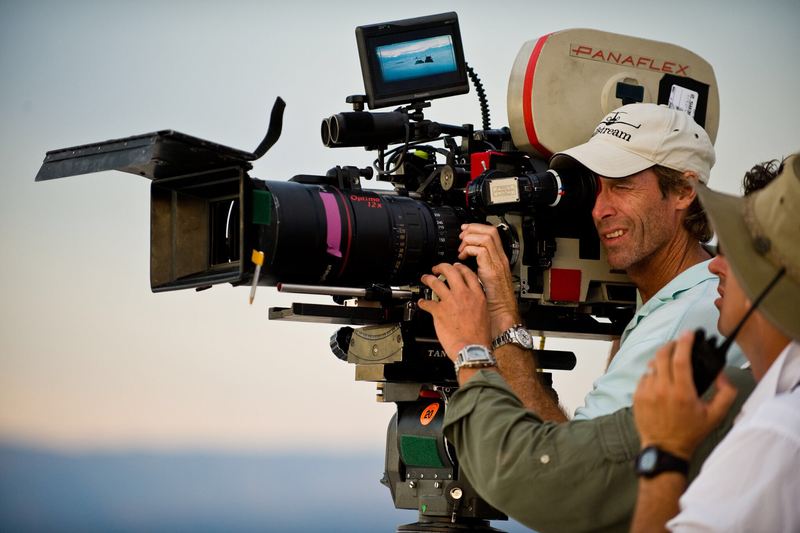 Michael Bay wears a Rolex, above and below. 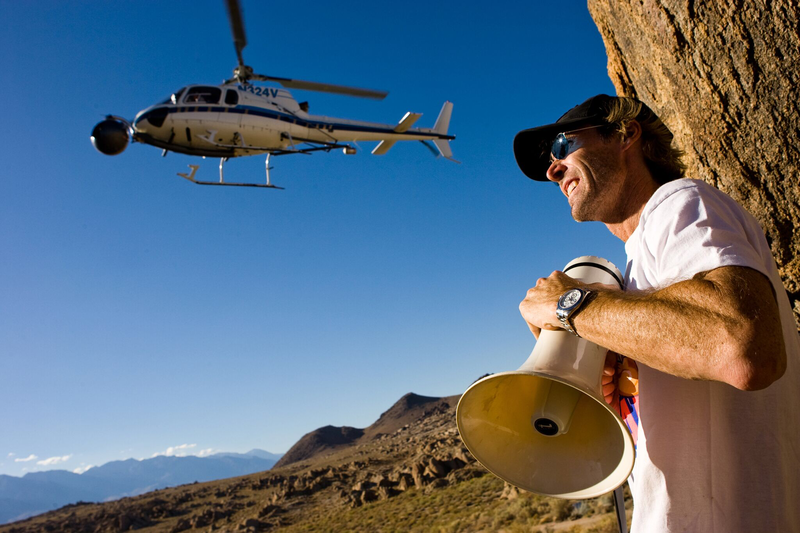 He sports a white-dial, stainless-steel Daytona reference 116520. I've also heard that some actors insist on wearing their personal watches in movies. 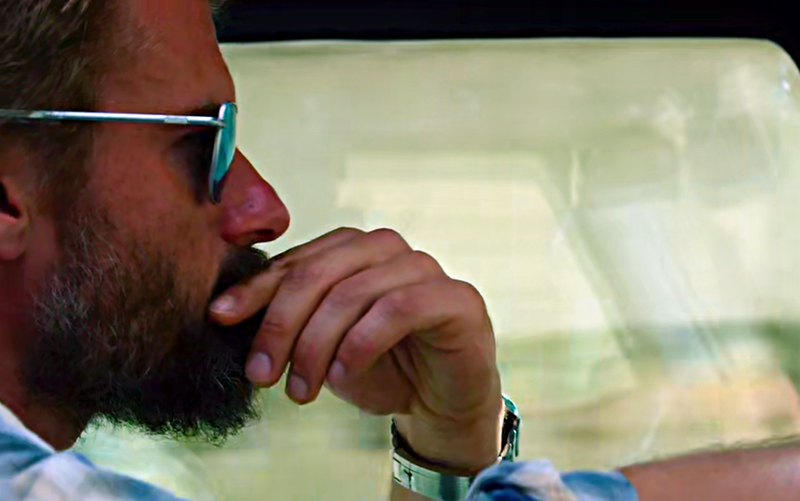 Maybe James Badge Dale, not Tyrone, owned the Rolex Submariner featured in 13 Hours. I found an interview with the actor playing Tyrone. 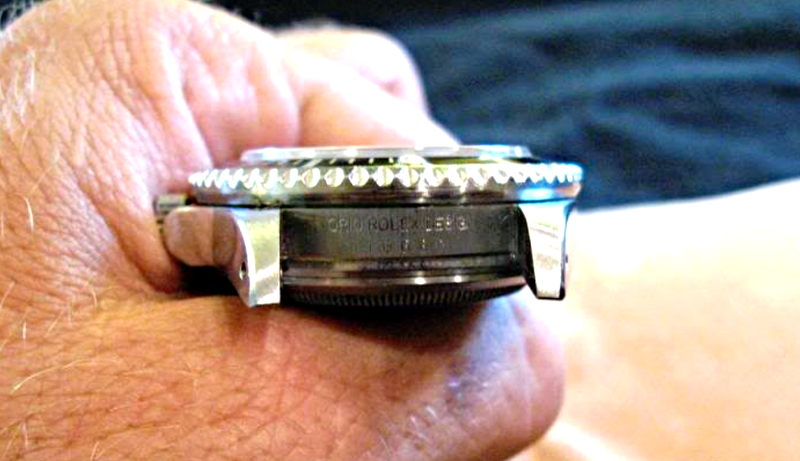 The interview was made on location, and his personal watch is clearly not a Rolex but an Omega Speedmaster. As much as I am a Rolex fan, I wanted to learn more about Tyrone as a person. Both my grandfathers served in the military. My dad served in the military, and I served in the military. 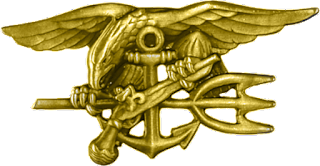 I write about my grandpa, a submariner, in this post. 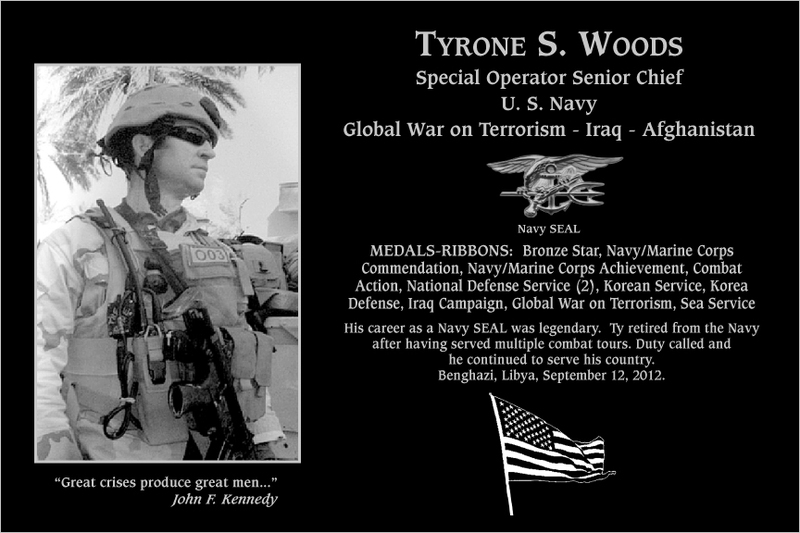 To say Tyrone and other GRS team members came under attack in Benghazi during the night of Sept. 11, 2012, is only half the story. Tyrone and his men left their covert CIA Annex location which was not under attack to rush to the U.S. diplomatic mission that was the target of a violent and coordinated attack by insurgents. The mission had only three on-site security guards and the two that Ambassador J. Christopher Stevens brought with him from Tripoli. After Tyrone and other team members carried out the rescue of State Department personnel, they would continue to fight from the roof of the CIA Annex. Tyrone lost his life in a sustained mortar attack at dawn that lasted 11 minutes. Still, the 31 lives of the State Department personnel and residents-staff of the Annex were saved thanks to him and his men. I contacted Cheryl Croft Bennett, Tyrone's mother, who was kind enough to provide me with pictures of her son. I got chills when I saw actual pictures of him wearing his watch — indeed a Rolex — a Sea-Dweller! His mom is president of the Tyrone Snowden Woods Wrestling Foundation organized to honor Tyrone's becoming a state champion while in High School, in 1989. Wrestling was a mean for channeling his grit and competitiveness. At the age of 13, Tyrone had already earned an Oregon Hunter's Safety card and a Professional Association of Diving Instructors certification. Tyrone was a true SEAL in the making. He earned his trident at the age of 20 and was a Navy SEAL for two decades, serving multiple tours of duty in Somalia, Iraq and Afghanistan. 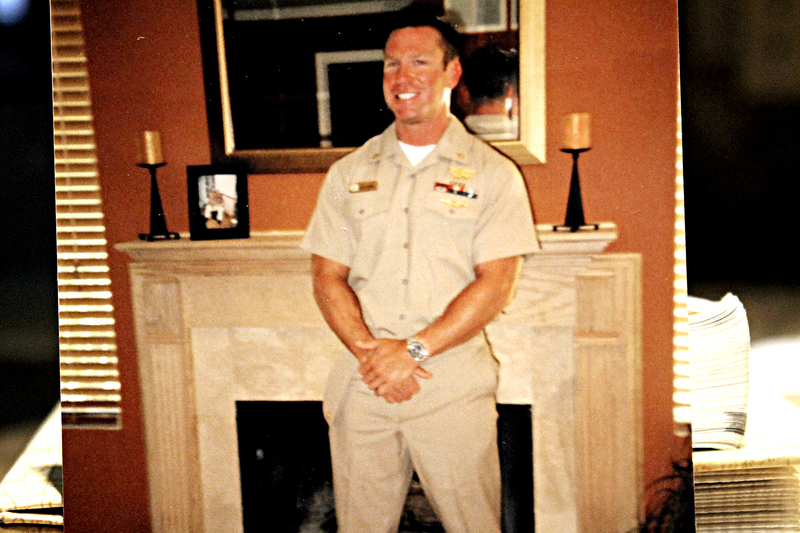 Jack Silva, a SEAL teammate, would later describe him as "smart and effective, a natural born leader, and perhaps the most motivated and hardest-working person I'd ever met," which is no small praise among Special Ops veterans. 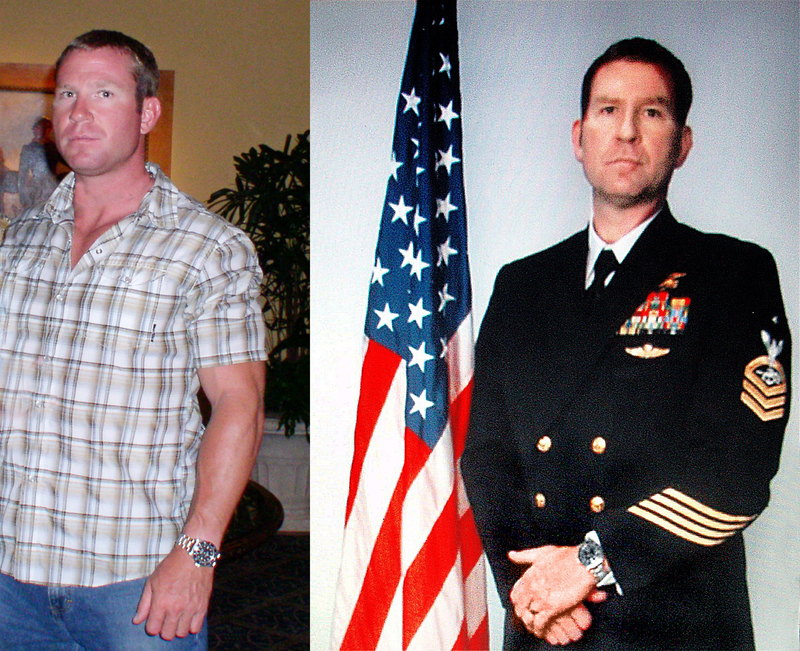 Tyrone served as the medical corpsman and paramedic on SEAL teams 1, 3 and 5 and became a Bronze Star recipient. He had hands that could heal and the hands of a warrior. By the time Tyrone retired at the age of 40, U.S. government agencies relied more on contractors to provide security abroad. They were usually made of former Special Ops guys like Tyrone who were trying to adapt to civilian life. He heard through the SEAL grapevine of openings at Global Response Staff. Mystery solved! 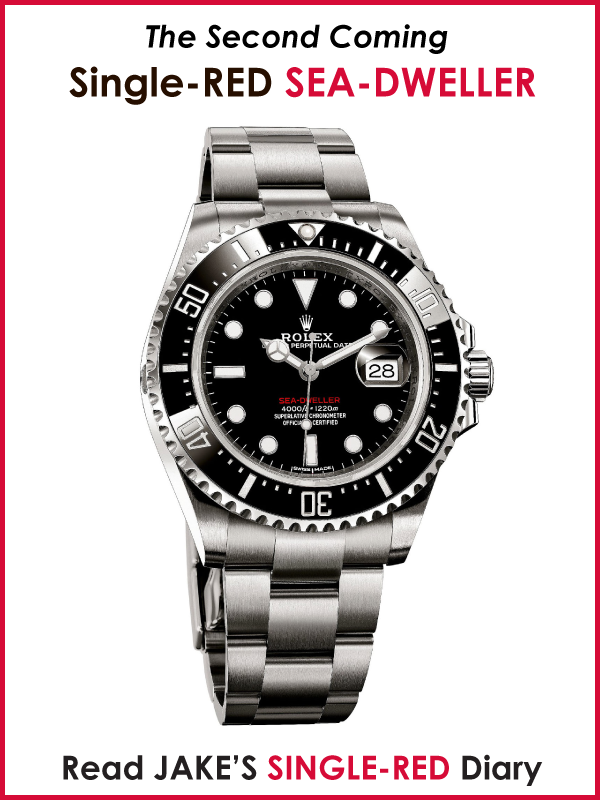 Above and below, pictures of Tyrone's actual watch, a Rolex Sea-Dweller reference 16660. The pictures were taken by him. Nicknamed the "Triple 6," the reference 16660 was a transitional model which boasted double the depth rating of previous Sea-Dwellers. Tyrone holding his watch showing the reference 16660 in an undated picture. I call it the "SEAL-Dweller." 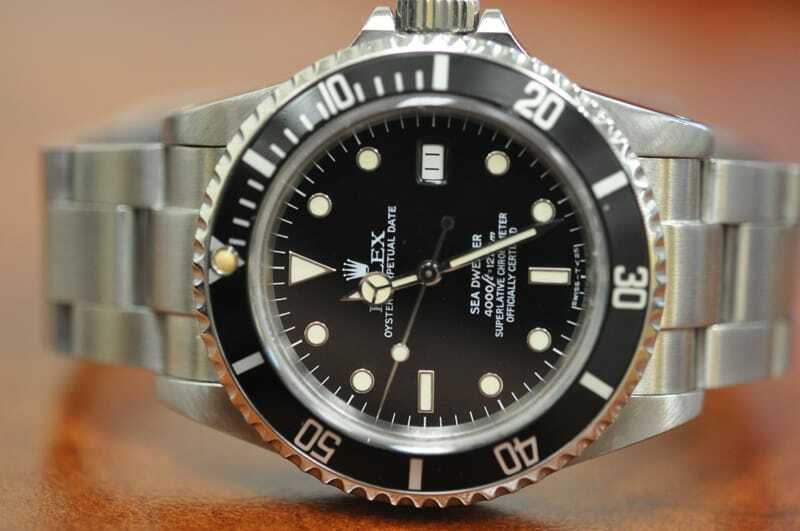 The picture below is a picture of a Rolex Sea-Dweller ref. 16660 like the one Tyrone owned. 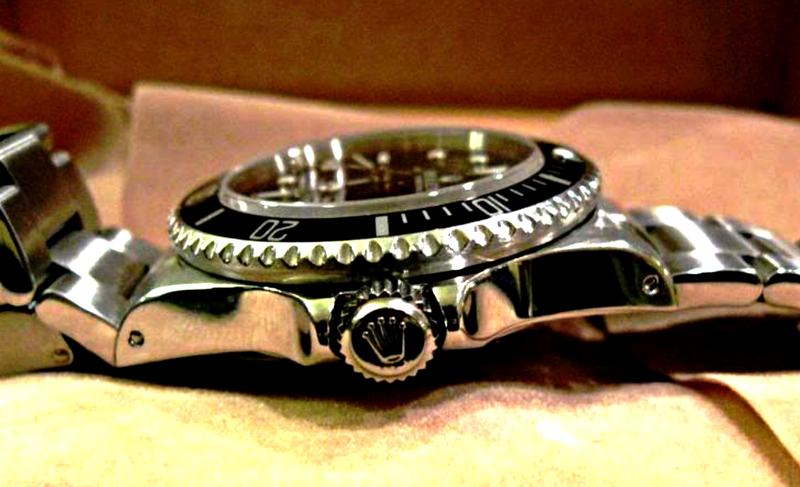 The "Triple-6" was the first Sea-Dweller to be equipped with a scratch-resistant sapphire crystal. 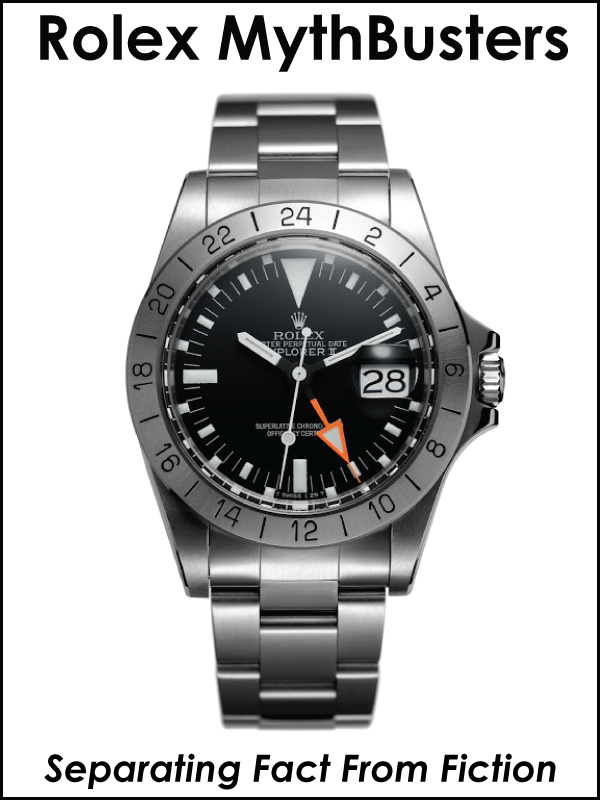 It had the Caliber 3035, which replaced the Caliber 1575 of the previous Sea-Dweller ref. 1665. 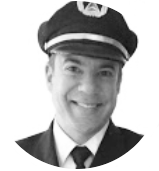 Tyrone retired from the Navy at the age of 40 with the rank of Senior Chief Petty Officer, which means that his pay had topped between $50,000 and $70,000 a year, according to FederalPay.org — too little, I feel, for such an elite warrior. 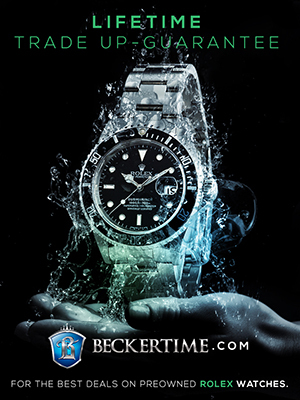 Shortly after he had retired, he thought about selling his two-watch collection, a Panerai and the Sea-Dweller, two favorites of Navy SEALs, in order to raise money. 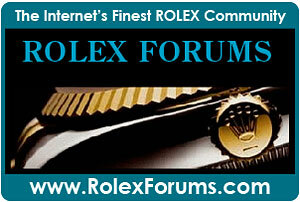 On January 1st, 2010, late on a Friday night, he registered an account with RolexForums.com under the username "sdfrog177." He wrote a post mentioning the sale of his Panerai Luminor Marina 44mm and a Rolex Sea-Dweller "triple 6 model (1983-1984 model)." Tyrone wrote that he was looking for a reputable shop in San Diego that is familiar with the value of these watches, and would anyone have any names available? "Thanks, T.W.," he signed at the bottom. Tyrone received no response. That year, he decided to join Global Response Staff. 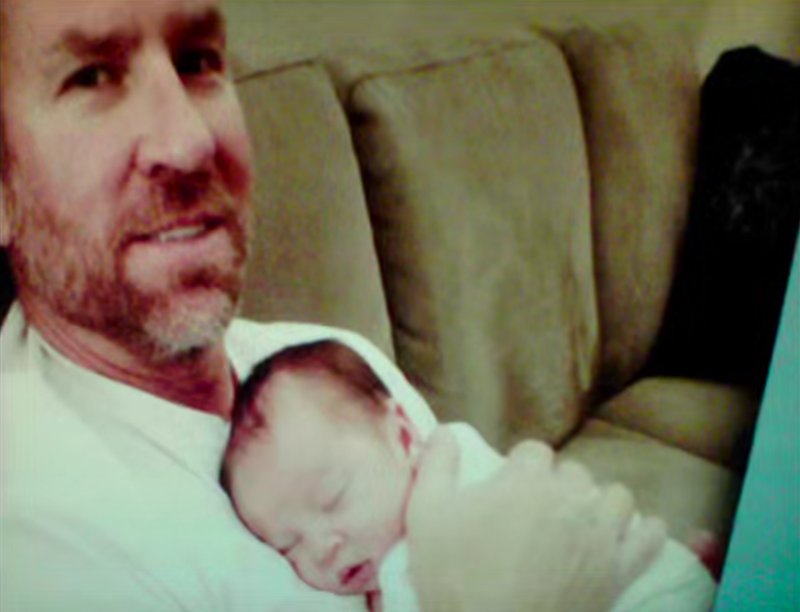 But after several assignments — and eager to spend more time at home with his family and infant son — he decided that Benghazi would be his last trip as an American security force contractor. 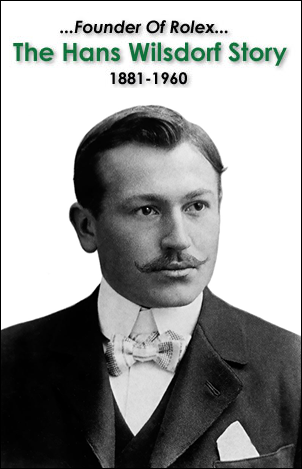 I am writing these lines two weeks after the auction of a rare, discontinued Rolex worn by a good-looking actor with blue eyes reached the highest price in the history of horology — $15.5 million before buyer's fees and sales taxes. 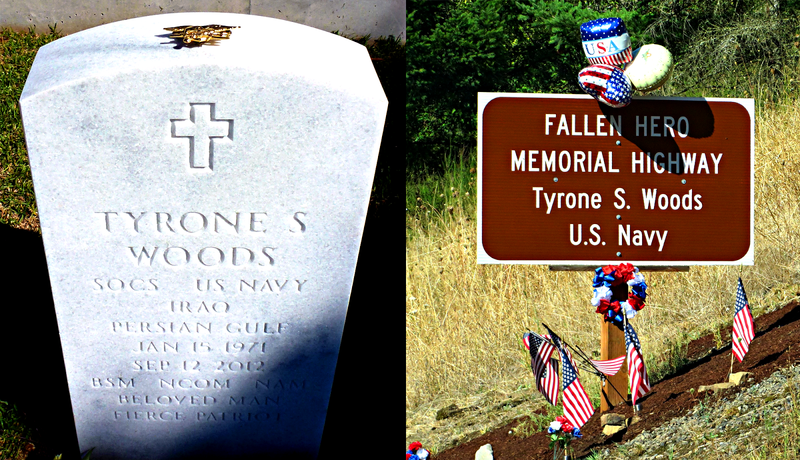 And I can't help but think about Tyrone Woods, an American hero, a decorated elite warrior who fought for his country and saved countless lives during his 20-year service. He too was wearing a discontinued Rolex reference model. 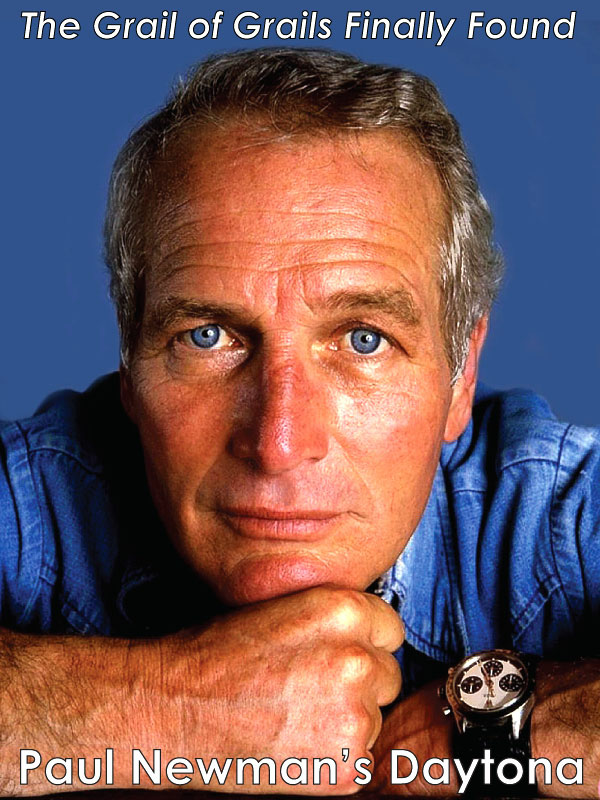 My hope is that the watch stays in the family — that it will be maintained, treasured and worn with more pride than a Paul Newman Daytona. But if the SEAL-Dweller ever gets auctioned off, you can count on me to be the first bidder. Note from Jake: I am in awe of Danny's writing and research skill. He shared such a moving story with us on Veteran's Day. 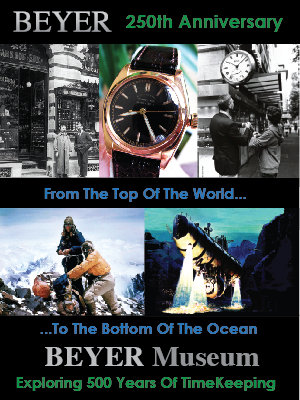 If you want to learn more about the relationship between Navy Seals and Rolex, I recommend checking out Chapter 20 of The Complete History Of The Rolex Submariner & SEA-DWELLER: Rolex's Conquest Of The Ocean, which is titled, U.S. Navy Seals: Rolex Submariner Heritage.